In late November, Chinese Ambassador Mr. Liu Xiaoming visited the "Oriental Pearl" on the coast of South China Sea – Hong Kong as an honoured guest of Hong Kong SAR government. 1. "Hong Kong's success is a name card of China"
Ambassador Liu had extensive contacts with people from all walks of society in Hong Kong, including Mr. Donald Tsang Yam-kuen, Chief Executive of Hong Kong SAR, Mr. Tung Chee-hwa, Vice Chairman of CPPCC, Mr. Jasper Tsang Yok-sing, President of the Legislative Council, Mr. Stephen Lam Sui-lung, Chief Secretary for Administration, Mr. Wong Yan-lung, Secretary for Justice, Mr. Raymond Tam Chi-yuen, Secretary for Constitutional and Mainland Affairs, Mr. Gregory So Kam-leung, Secretary for Commerce and Economic Development, Professor K.C. Chan, the Financial Services and the Treasury, Mrs. Carrie Lam, Secretary for Development, Mr. Simon Galpin, Director-General of Investment Promotion, Mr. Lau Siu-kai, Head of Central Policy Unit, Mrs. Helen Chan, Government Economist, Mr. Timothy Tong Hin-ming, Commissioner of the Independent Commission Against Corruption, Mr. Philip Yung, Commissioner for Tourism, Mr. Fred Lam, Executive Director of the Hong Kong Trade Development Council, Mr. Ashley Alder, Chief Executive Officer of the Securities & Futures Commission, Mr. Peter Pang, Deputy Chief Executive of Hong Kong Monetary Authority and Mr. Jonathan Choi Koon-shum, Chairman of Hong Kong Chinese General Chamber of Commerce, and comprehensively learned about the economic development in Hong Kong. Chief Executive Tsang and other officials of the SAR said that despite the adverse effects from the international financial crisis at present, Hong Kong has maintained a good momentum of development this year. The annual economic growth is expected to be around 5%; the current unemployment rate is only 3.3%, close to full employment; the inflation is gradually falling, with housing prices being stabilized; and the government achieves fiscal surplus year after year and has sufficient fiscal and foreign exchange reserves. Hong Kong has been named the world's freest economy by the U.S. Heritage Foundation for 17 consecutive years, and has ranked as the world's most competitive economy for the first time this year by the International Institute for Management Development based in Lausanne, Switzerland. Meanwhile, Hong Kong's constitutional development has been moving forward step by step according to the "Basic Law" and the relevant decisions of the NPC Standing Committee. 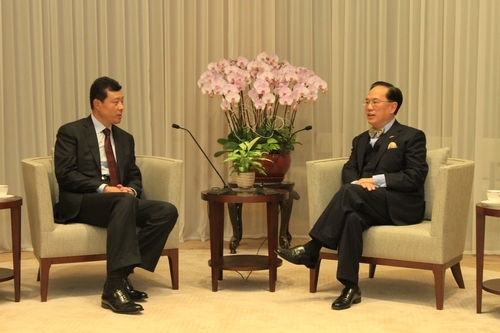 Chief Executive Tsang stressed that at present Hong Kong and the Mainland are having closer economic ties. The Mainland is Hong Kong's largest trading partner. Nearly 100 Mainland enterprises have set their regional head offices in Hong Kong are 620 Mainland enterprises were listed in Hong Kong Stock Exchange last year. The more than 22 million tourists from the Mainland last year formed a powerful driving force to Hong Kong's tourism industry and consumer market. 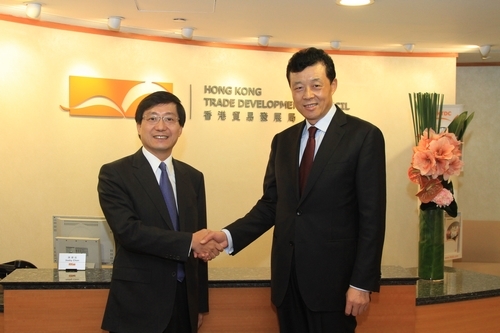 The SAR government is grateful to the support of the State in the Twelfth Five Year Plan for Hong Kong's efforts in consolidating its status as an international financial, trade and shipping centre, and is confident to build Hong Kong into an international asset management centre and offshore RMB business centre. Ambassador Liu spoke highly of the great achievements of Hong Kong in the fourteen years since its handover. He said that Hong Kong has overcome the Asian financial crisis, SARS and the international financial crisis and has achieved a more prosperous economy, a stable society and an orderly development of democracy. Hong Kong people are living in peace and working pleasantly. 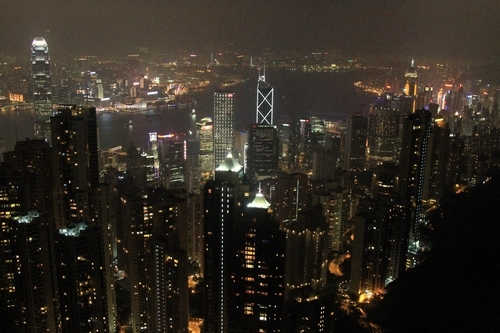 Hong Kong has increasingly close economic ties with the Mainland and shows a scene of prosperity. All these have demonstrated the strong vitality of "one country two systems". Hong Kong's success is a pride not only to Hong Kong but also to China as a whole. Hong Kong has become a name card of China. Ambassador Liu wished that Hong Kong would continue to build on its advantages of being "backed by the Mainland and oriented to the world" and have a better future. 2. "Hong Kong is a bridge between China and the world"
When meeting with the relevant people of Hong Kong, Ambassador Liu conducted in-depth exchange of views with then on how to give Hong Kong a greater role to play in the relations between China and the rest of the world. Ambassador Liu said that due to the differences in history, culture and social systems, China and the West lack of in-depth understanding of each other. Hong Kong, as a place bringing together both China and the West, should become a bridge for cultural communication to promote the recognition and understanding of the two sides. 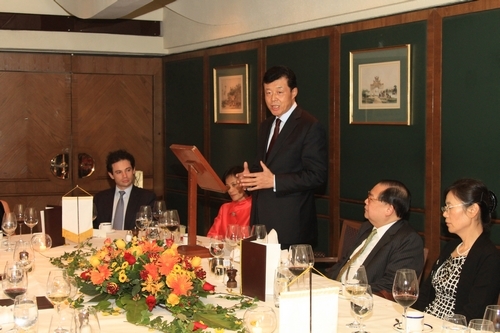 Ambassador Liu also pointed out that in the past Hong Kong was a window of China's foreign trade. Today, in a new era when the economic and trade relations between China and the rest of the world are changing, Hong Kong can absolutely play a role as a bridge from economic and trade cooperation with its sound legal system, free and open economic system and excellent and efficient professional services. Hong Kong can serve as a platform for the strong Chinese enterprises to speed up their steps of "going globe" and an access for the small and medium-sized enterprises in Europe, the United States and other developed countries to explore the market in China. The Ambassador confirmed that the Chinese Embassy in the UK will work closers with Hong Kong Economic & Trade Office in London and the Trade Development Council Office in London to intensify the joint promotion activities, facilitate the cooperation among the three places and promote the two-way trade and investment between China and the UK. The officials of the SAR government and other relevant people completely agreed with Ambassador Liu. They said that Hong Kong is looking to use its special status and advantages and give a full play to its role as a bridge, so as to "go global" together with Chinese enterprises, provide services for foreign small and medium-sized companies to enter the mainland China market, promote the mutual trust and understanding between China and the West and strive for a mutually beneficial and win-win situation for the Mainland, Hong Kong and the world. During his visit Ambassador Liu conducted four in-depth exchanges of views with the celebrities and young students in Hong Kong on China's diplomatic policy and practice. Ambassador Liu gave an open lecture entitled "A New Partnership: China and the West" at the Chinese University of Hong Kong. He talked about the past and future of the development of the China-West relations and pointed out that China and the West need to enhance mutual trust, strengthen exchanges and properly handle differences. He also proposed the key elements for a new China-West partnership, namely peaceful development, development by cooperation and harmonious development. The Ambassador hoped the younger generation in Hong Kong to make a positive contribution to the development of the China-West relations. 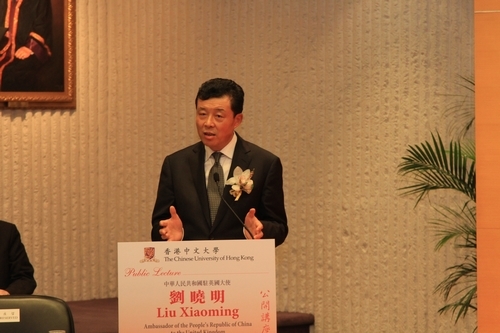 Ambassador Liu delivered speeches on the China-EU and China-US relations at the Better Hong Kong Foundation, the China-US Exchange Foundation and the Asia House Hong Kong Club and answered the questions from the audience. 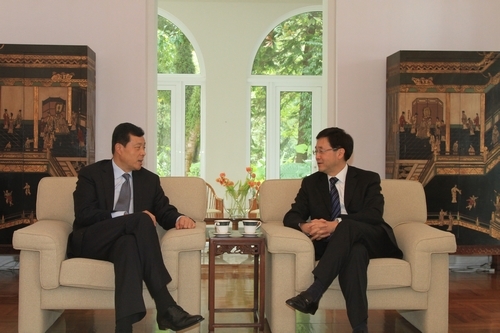 Ambassador Liu pointed out that at present the China-UK relations are in good shape. The two countries are expanding and deepening their cooperation in economy, trade, education, culture and other fields and their mutual understanding has also been constantly enhanced. Next year will mark the 40th anniversary of the full diplomatic relations between China and the UK. Also in next year China will attend the London Book Fair as the Guest of Honour, London will succeed Beijing to host the 30th Summer Olympic Games, and two giant pandas will settle in Edinburgh Zoo. All these will be important opportunities for further development of the China-UK relations. The Ambassador hoped that Hong Kong would remain a positive element in the China-UK relations and play a special role in promoting the cooperation between the two countries. As for the China-EU relations, a common concern of Hong Kong people, Ambassador Liu said that China and the EU are each other's main trading partners. China always pays attention to the EU's status and international influence. The China-EU relations have a promising long-term prospect as cooperation outweigh differences and opportunities outweigh challenges. China believes that Europe has the wisdom and ability to solve the debt problem. It is willing to carry forward the spirit of mutual assistance, actively explore the ways to strengthen the bilateral cooperation between China and Europe, expand the cooperation in trade, investment, technology and finance and promote common development of China and Europe as well as the world economic recovery and growth. Ambassador Liu learned through field visits about Hong Kong's economic development, urban construction, environmental protection and tourism industry. Ambassador Liu visited Hong Kong Stock Exchange and learned about the history, business development and regulation of the stock and futures markets in Hong Kong, in particular the listing of the Mainland enterprises in Hong Kong. He also visited the SME Service Centre of the Trade Development Council and was briefed about the roles, functions, services and service methods of the Centre. 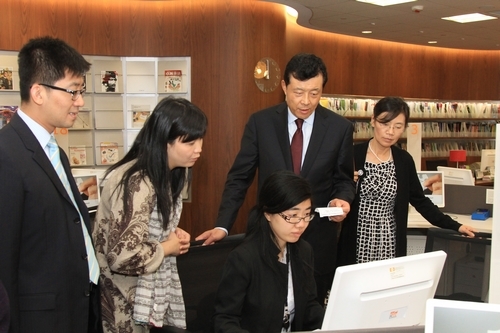 The Ambassador visited the Hong Kong Museum of Art and other cultural facilities to understand the development and the future of Hong Kong's cultural industry. The one-week visit to Hong Kong, though a bit short, is quite fruitful. It is not only a trip to enhance understanding and to experience the sound development of Hong Kong, but also a diplomatic promotion trip to help the people from all walks of the society of Hong Kong to know more about the country's foreign policy. It is also a tour for cooperation to facilitate closer exchanges and cooperation between Hong Kong and the Mainland and between China and the UK and Europe.